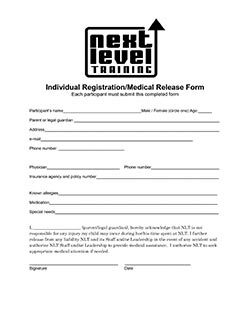 It’s that time of year again, everyone: we’re happy to officially announce the 2018 Next Level Training Summer Soccer Camp! 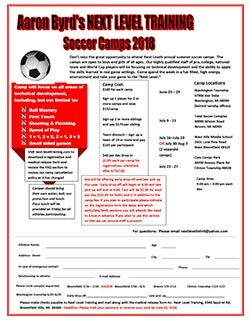 Sign up now to make sure you have a spot for this amazing week of soccer with the best trainers and (hopefully) beautiful weather. Please include both forms and payment to ensure your spot. We look forward to seeing you this summer! Disappointed to see that your summer camp is not being held in Canton this summer. My son really enjoyed it and was looking forward to having more join him from his reign soccer team this summer.